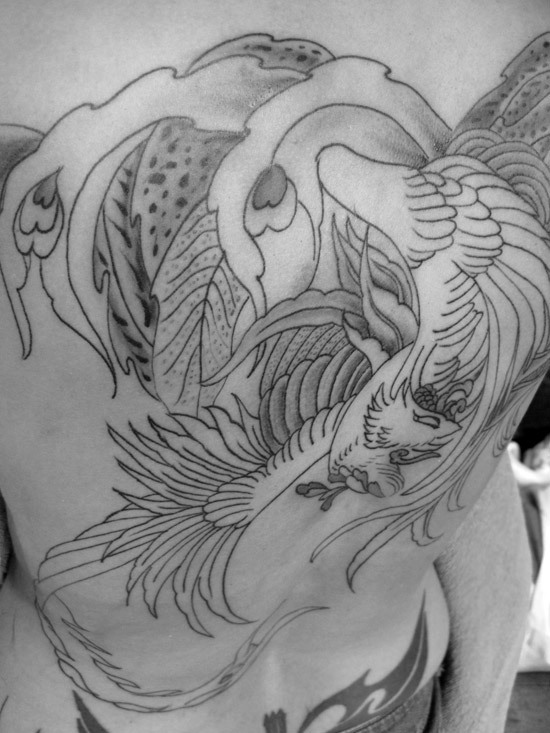 Second Session on this Phoenix Tattoo Back Piece! Thank you for your patience! this is going to be a beautiful back piece! Enjoy! Y.